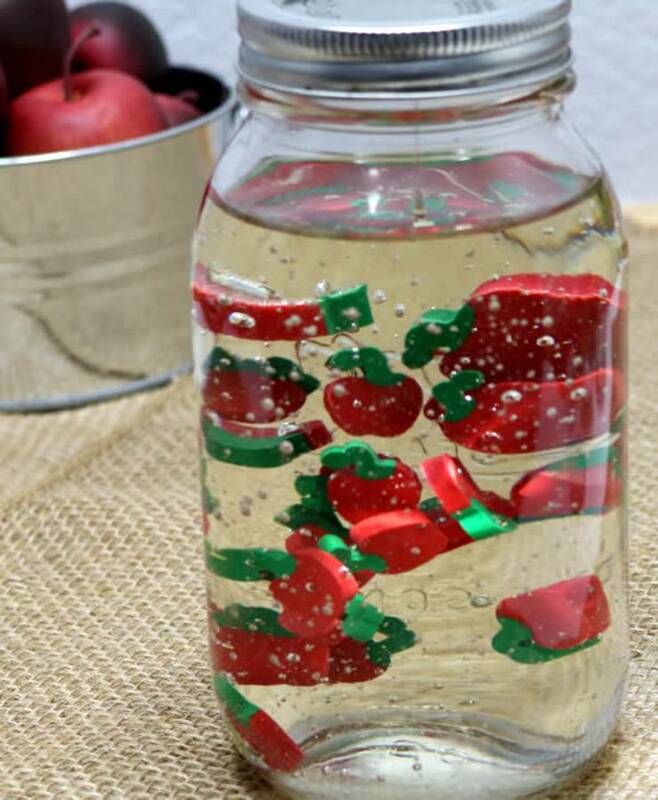 AMAZING sensory bottle! 2 ingredient DIY sensory bottle that are super EASY to make. 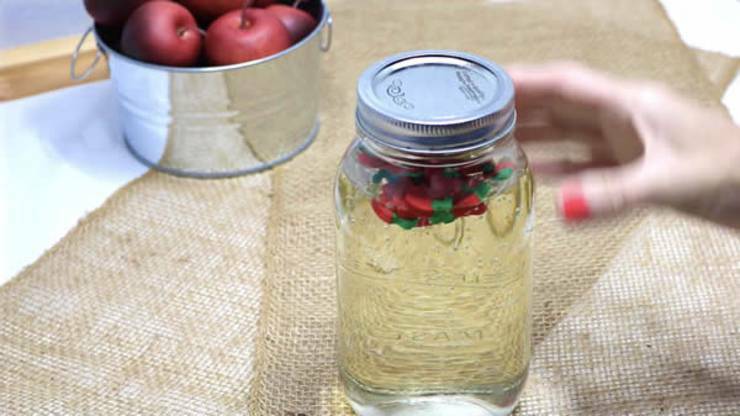 This falling apple sensory bottle is so mesmerizing to watch – slow falling apples – kids go crazy for this one! 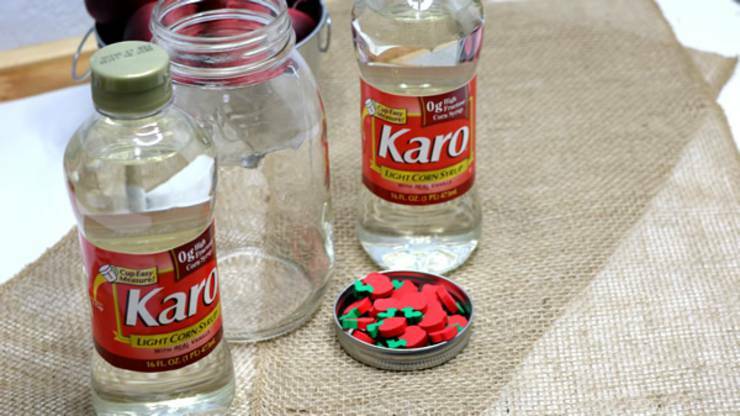 Learn how to make sensory bottles for babies, toddlers, infants and kids. 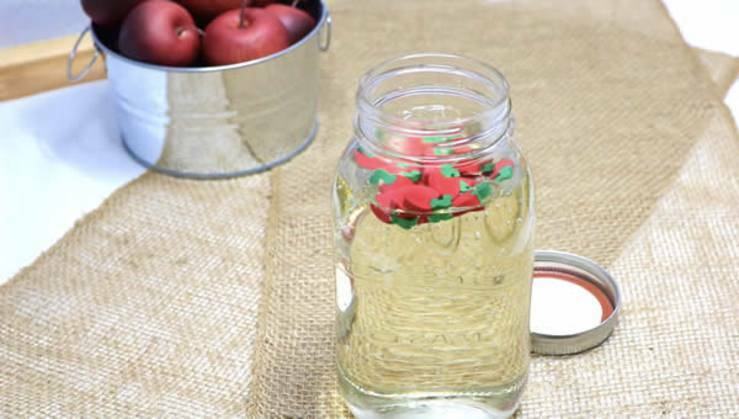 This is a great kids Fall craft idea. 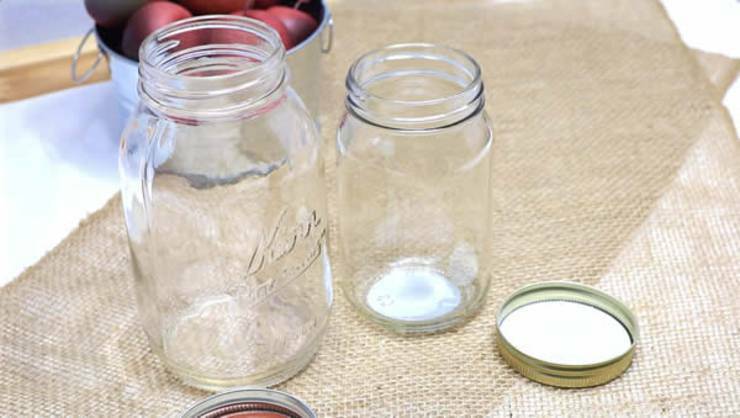 Make this calming jar in a mason jar or Voss water bottle – both work great! 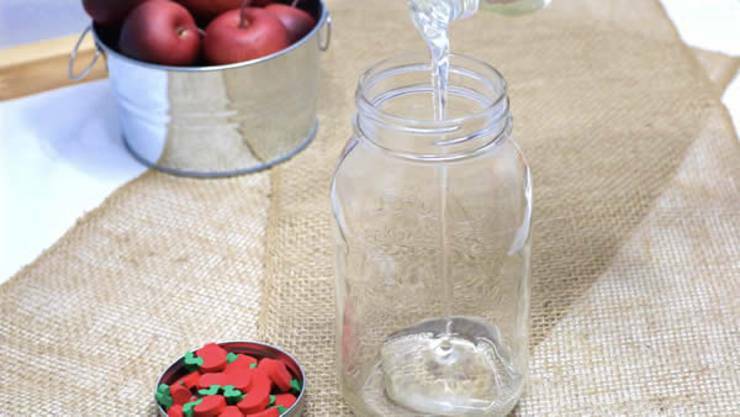 BEST apple sensory bottle that will keep kids entertained for hours. 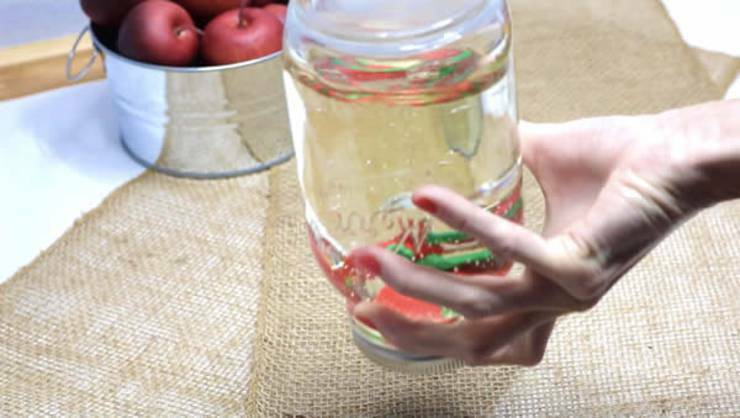 Watch the video tutorial or follow the step by step instructions for an easy sensory bottle idea! For More Great Kids DIY Ideas Check These Out! 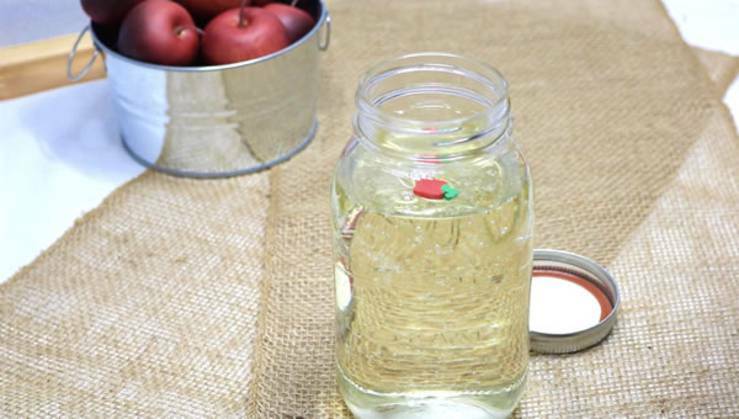 How AMAZING was this homemade DIY apple sensory bottle? 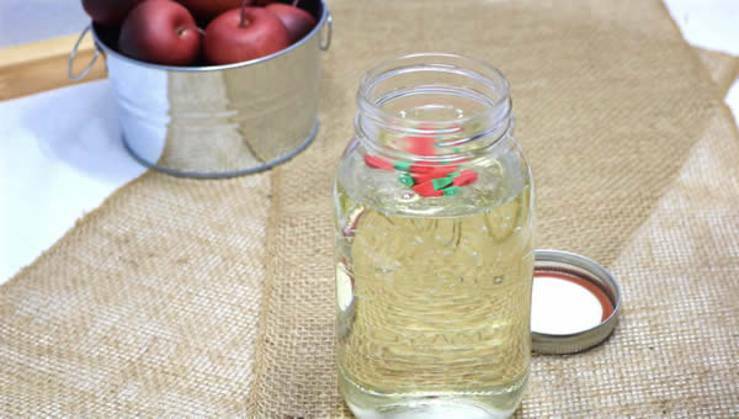 Super quick and simple to make with only 2 ingredients! 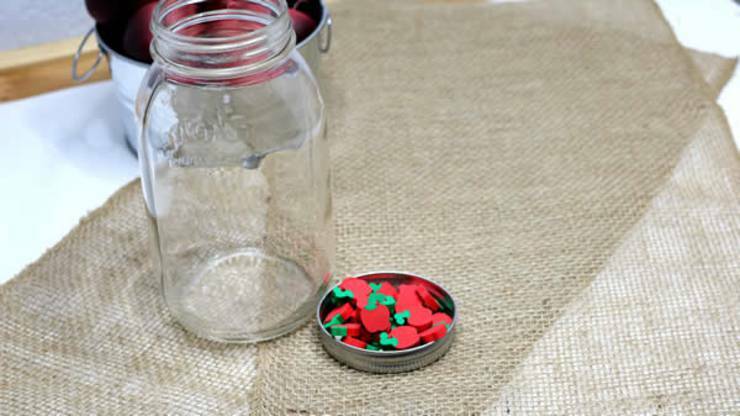 Call them what you want: calm down jars, sensory bottles or sensory jars or discovery bottles these bottles or jars can help calm down children with sensitivities, autism, anxious kids & more. 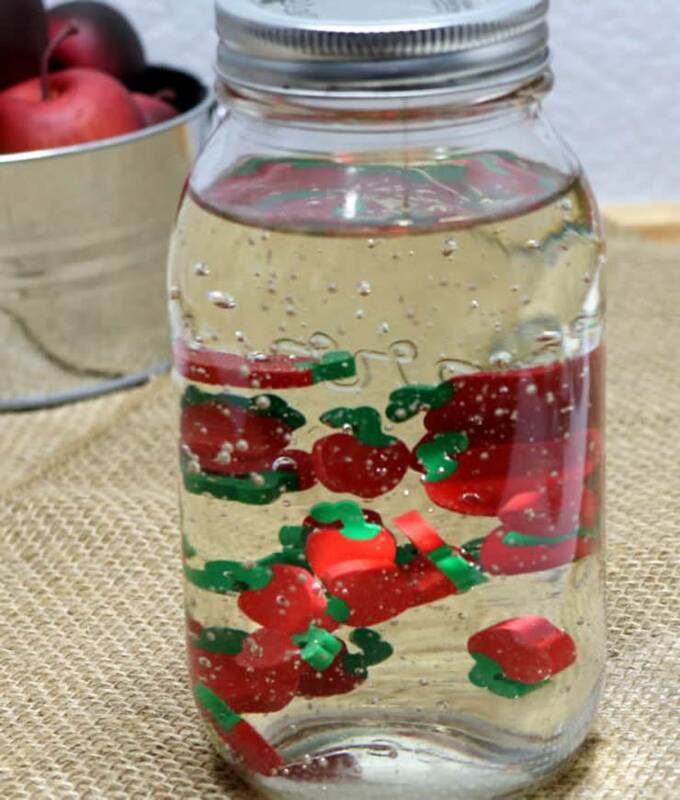 Kids of all ages including adults love sensory bottles and are great for preschool to kindergarten and beyond. 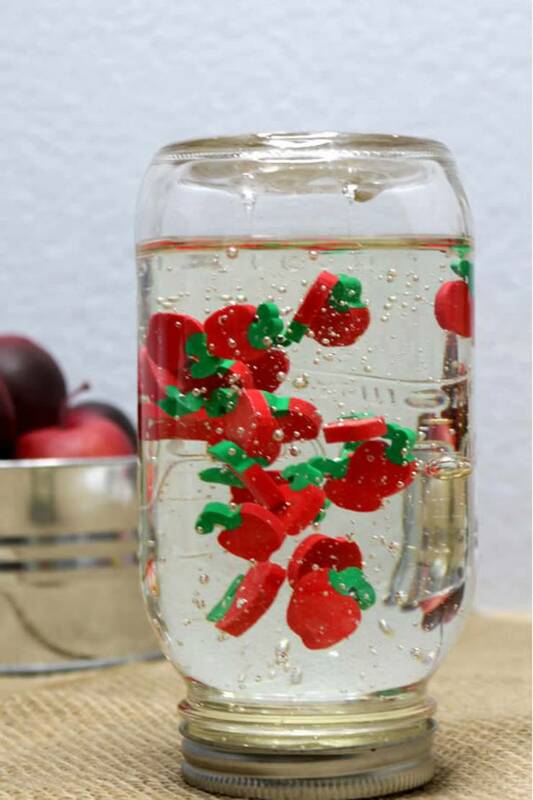 Here are some things people look for when looking for sensory bottle ideas: glitter sensory bottles, sensory bottles for babies, sensory bottles with baby oil, galaxy sensory bottles, oil and water sensory bottles, voss sensory bottles, sensory bottles for autism, sensory bottles benefits. 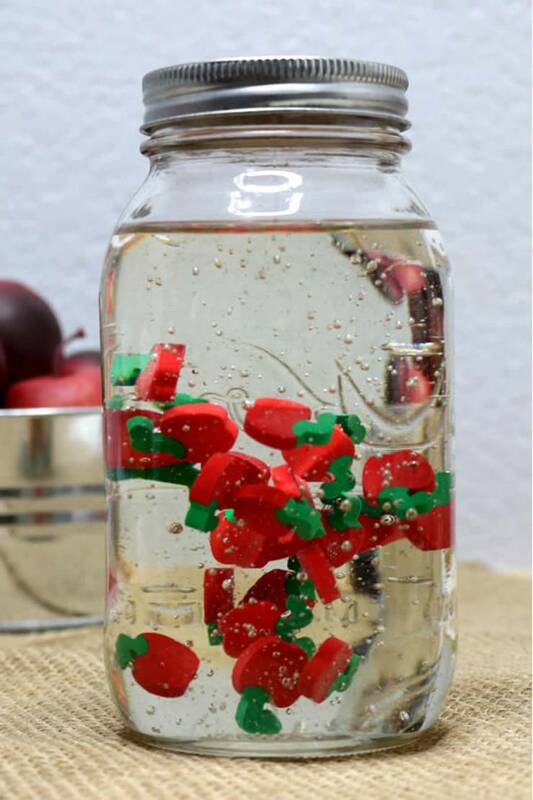 For more sensory bottle DIYs you can check out Pinterest and find: space sensory bottles, sensory bottles with glue, sensory bottles hair gel, sensory bottles water beads, rainbow sensory bottles, ocean sensory bottles, glow in the dark sensory bottles, color mixing sensory bottles, nature sensory bottles and more. 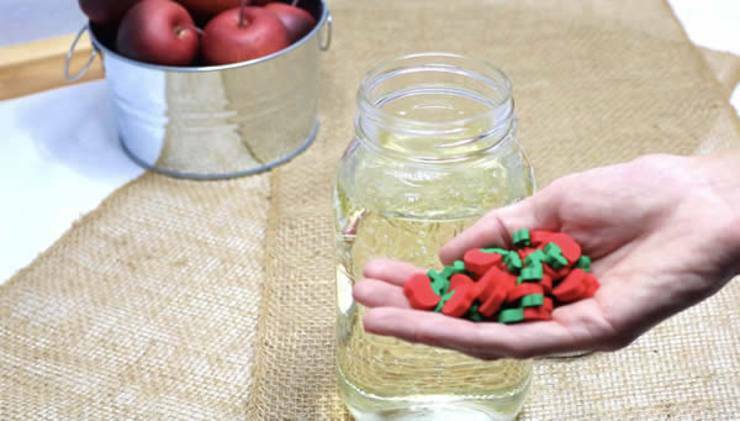 I hope you enjoyed this sensory bottle recipe that kids will love! Enjoy!